Liza brings to MCS more than 20 years of Medicare health plan experience, serving clients as a knowledgeable resource in Medicare Advantage and Part D operations and compliance. Liza takes a collaborative approach when working with clients, providing custom, targeted solutions to their challenges. Prior to working as a consultant, Liza held a management position with a Special Needs Plan (SNP) where she was responsible for the organization’s day-to-day operations, Medicare compliance, benefit design and bid development, call center, enrollment, and appeals and grievances. Liza has also held positions with several Medicare Advantage organizations in the greater Los Angeles markets in the areas of credentialing, compliance, and internal audit. Liza’s areas of expertise and focus are new plan implementations, call center operations, grievances and appeals, credentialing, creating detailed trainings, and developing policies and procedures. Liza also brings experience with CMS audits during her time with Medicare Advantage organizations and in her current role as a consultant. 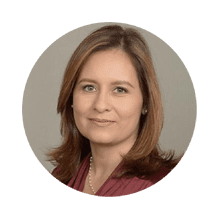 She assists clients with preparing for audits by conducting CMS audit trainings, mock webinars, and working with various operational areas that are required to provide an audit universe and samples during live CMS webinars.